Music in a general sense is a fine art that initiates some emotional response through auditory cues through tempo, pitch, melodies, vocals, and other elements commonly found in songs. What we tend to forget is music is often felt as well as heard. That's where Kid Kin comes in. Peter Lloyd adopted the name Kid Kin as his moniker for his solo instrumental project. He is a budding artist with ample amounts of potential in the cinematic and post-rock scene. His upcoming debut album, New Day At Dusk, will be released January 28. This marks his official footprint in the music scene all the while bringing in new elements along with the old. His style fluctuates within the realm of post-rock, though there are definitive aspects taken from other genres as well. You'll hear plenty of piano woven in between the tracks, while at times you'll encounter synthesizers making for a creative mixture between traditional post-rock tunes and electronic synth pop. His previous EPs, Orange County and The Mile Of The Smile are more reserved and channel characteristics from Explosions In The Sky. However, it is shown in the teasers for New Day At Dusk that he is developing his own unique set of sounds and is exploring new paths. 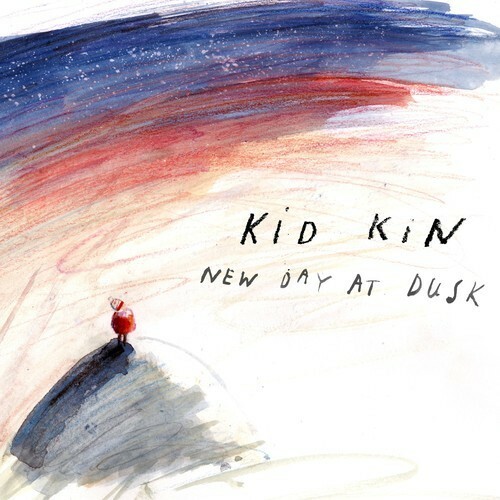 Stream some of Kid Kin's latest tunes below.